12/29/13 - Vatican observers look for thaw between Pope Francis, U.S. nuns: A more inclusive pontiff has arisen since the Holy See (under Ratzinger) censured the Leadership Conference of Women Religious (LCWR). Those early Christian texts can seem quite astonishing. Several of them are told from the point of view of a woman, something that is not true of any of the New Testament. The Gospel of Mary, for instance, tells the story of Mary Magdalene, “who is portrayed as one of Jesus’s closest associates”… A second book that is written mostly in the female voice is “The Thunder: Perfect Mind.” A poetic work, what is particularly amazing about it is that the female voice is that of the deity Herself. In our view, Pope Francis continues to fail in his explanations on this issue (male only ordination). How is it that ordaining men doesn't "clericalise" them, while ordaining women would? How do you "value" women short of true and complete equality, when power and decision-making ability in the Church ultimately rests with the ordained while women are denied the sacrament of Holy Orders? As long as the current system exists and women cannot be pastors, bishops, cardinals, and, yes, pope, women will not have real power in the Church and they will be de facto second-class citizens. … Meanwhile, away from the papal centers of power, the movement to ordain Roman Catholic women to the priesthood continues unabated. Women are not waiting for Pope Francis to revise his theology of women in the Church; they are being ordained in the line of apostolic succession and leading communities of Catholics who are looking for a more inclusive worship experience. 12/12/13 - Joan Chittister writing in the National Catholic Reporter: We are at a crossroads for women in the church. “Without the input of women, humanity sees with only one eye, hears with one ear and thinks with only one half of the human mind.” To this we can only say - Amen Joan. 12/9/13 - The Louisville Courier-Journal has published news of the ordination of Mary Sue Barnett to the Catholic Priesthood. The ordination took place Sunday in Louisville with more then 200 supporters attending. Also, four women were ordained as deacons: Denise Menard Davis, Betty Smith, Mary Weber and Ann Harrington. "The time has come for a holy shake­up that will bring new life, creativity and justice to the church and beyond" said Bridget Mary Meehan (ARCWP) the ordaining bishop. In addition to their news article, the Courier-Journal has a great photo gallery of pictures from the ordination. Amen to a "Holy shakeup". 12/6/13 - Five Roman Catholic Women to Be Ordained in Louisville, Kentucky on Dec. 8: On Sunday, December 8, 2013 at 3 p.m. Mary Sue Barnett will be ordained a priest and Denise Menard Davis, Ann Harrington, Betty H. Smith and Mary Weber will be ordained deacons. The presiding bishop will be Bridget Mary Meehan (ARCWP). The ceremony will take place at 3 p.m. at Central Presbyterian Church in Louisville, 318 W. Kentucky St., Louisville, KY 40203 (502-587-6935). All are welcome. 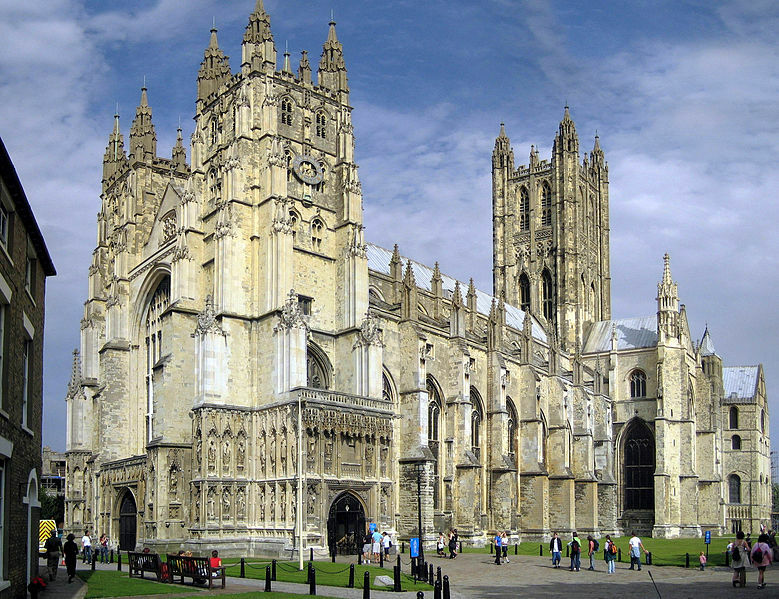 11/22/13 - The Church of England, British branch of the Anglican Communion, has taken steps to allow their women priests to be ordained as Bishops beginning next year. Their Episcopal counterparts in the United States have had Women Bishops since 2006. Where are the men in the Vatican on this issue? Well, we are still waiting for justice from them. 11/21/13 Frescoes in the recently restored Catacombs of Priscilla prove there were women priests in early Christianity. All male leadership at the Vatican disagrees despite the clearly visible evidence. 11/14/13 Please check out the bio-page for newly ordained Catholic Priest Ann Klonowski. We are very pleased to have access to some wonderful photos of the ordination taken by our dear friend the talented Cleveland Photographer Peggy Turbett. 10/30/13 - Bishop Mary Meehan (ARCWP) is asking us to sign a petition in support of more than 30 United Methodist pastors in Pennsylvania who have just announced their intention to put their careers at risk by co-officiating at a gay wedding next month. In the United Methodist Church, pastors can be put on trial and lose their ordination for marrying a gay or lesbian couple. These pastors intend to challenge this immoral and discriminatory rule. Please read Bishop Mary's supportive comments and sign the petition. Long ago, as a young priest in Bolivia, I learned that power is an addiction, and that our all-male, clerical culture sees women as a threat to male power. In living with the poor of Latin America, I was taught that change would not come from those who abuse their power and oppress others, but from the oppressed themselves. Change will come—not from the top down, but from the bottom up. At the core of the crisis in the Catholic Church today are men who claim that only they can know the will of God. And the God they tell others to worship is effectively male and heterosexual. Most young Catholics are leaving the Church because it is anti-women and anti-gay. If the Catholic Church does not change, it will go the way of the dinosaurs. 9/17/13 - This is a woman to watch. She's changing the world around her - and its great that she has the full support of her community. Sister Teresa Forcades: Europe's most radical nun. 9/13/13 - The Association of Roman Catholic Women Priests (ARCWP) has announced the ordination of three women scheduled for September 15th in Albany New York. Mary Theresa Streck will be ordained to the Priesthood. Mary Sue Barnett and Maureen McGill will be ordained Deacons. Bishop Mary Meehan will be presiding at the ordination. All are invited to attend. 9/8/13 - The Cleveland Plain Dealer has coverage and some beautiful photos of Ann's Ordination yesterday. It was great to see such a large number of family, friends and supporters in attendance. We certainly join with many when we wish our dear friend Ann the very best as she begins her priestly ministry. 9/6/13 - WKYC video interview with Clevelander Ann Klonowski who will be ordained to the Catholic priesthood tomorrow. 8/30/13 - Cleveland Plain Dealer reports on the upcoming Ordination of Cleveland native Ann Klonowski. 8/29/13 - Fr. Roy Bourgeois writing for the Washington Post: Does the Catholic Church really respect women, or the men who support them? Two quotes…. After serving as Roman Catholic priest for 40 years, nine months ago I was expelled from the priesthood and my Maryknoll community because of my public support for the ordination of women. While being expelled from my religious community that I loved was incredibly painful, that pain doesn’t compare to the hurt endured by women and LGBT Catholics who have been marginalized by our church for centuries…. ….As a priest I learned that when there is an injustice, silence is complicity. I saw the exclusion of women from the priesthood as a grave injustice and, in good conscience, I could not remain silent. The punishment for raising the question of equality was severe – I was thrown out of the community that I love. I think the American church is outstanding. But I'm waiting for women' ordination. We have been deprived of the celebration of the Mass because we don't have enough ordained priests. We (women) have done so much as teachers, nurses, social workers, but we need to open church offices to women. Nancy Dallavalle, an associate professor of religious studies at Fairfield University says: “The church simply refusing [to ordain women] means that women will never exercise authority. They will never shape the institution. They are walled off from shaping the church." 8/9/13 - ‘Christians airbrushed women out of history’ - A band of forgotten women were hugely influential in the rise of Christianity, a five-year study has found. According to Bishop Joan Houk: We need the strong leadership of a pope who’s open to looking at the world as it is today and listening to the people, theologians and scripture scholars when they say there’s no theological reason, no scriptural reason not to have women priests. Rev. Barbara Zeman follows with: We really don’t need a hierarchy that’s going to tell us what to do from afar. The Church has spoken and says no … that door is closed. Francis, the "door" to ordaining women is most definitely open. Also, each time you try to close that door we intend to open it wide again. Eventually wide enough for your whole sexist misogynistic hierarchy to walk through!! 6/24/13 - Former President Jimmy Carter decries religious institutions which discriminate against women, urges Catholic Church to Ordain Women Priests…. What has been the case for many centuries is that the great religions, the major religions, have discriminated against women in a very abusive fashion and set an example for the rest of society to treat women as secondary citizens. In a marriage or in the workplace or wherever, they are discriminated against. And I think the great religions have set the example for that, by ordaining, in effect, that women are not equal to men in the eyes of God. 6/17/13 - Three women, Bernadyne Sykora, Corene Besetzny and Martha Sherman will be ordained to the priesthood on Sunday June 23rd in St. Cloud MN. Bishop Regina Nicolosi (RCWP) will preside at the event. With respect the Roman Catholic prohibition on the ordination of women Nicolosi said: "We believe there are laws that are unjust and they need to be broken because they are not in accordance to the teaching of equality and love that Jesus preached and died for." -- to that we say AMEN. It's the absence of women from the all decisive and leadership roles that sets up the antiquated Vatican and other organized religions against progress. Within the church, it's the hundreds of thousands of nuns that are the true global foot soldiers for the Catholic empire. The Church has long made humanitarianism, at least in theory, a hallmark of its Christian mission. But the humanitarian surely begins with fairness and equality to half of humanity: women. It's hardly revolutionary to argue that progressive and feminist voices are ever more needed - on all levels of authority - to undo the terrible imbalances and abuses of power in the church. Alas, lack of fairness and equality isn't limited only to the Vatican. After all, a woman cannot become Pontiff for the same reason that she can't become an Ayatollah, a Chief Rabbi, head of Al Azhar, or a Patriarch: it's about old men controlling powerful institutions in the name of god. 5/30/13 - On Saturday, June 22, 2013 at 1:00 p.m. Barbara Anne Duff (Macon, GA) and Joleane Presley (Manassas, VA) will be ordained priests in the Association of Roman Catholic Women Priests (ARCWP). The presiding bishop will be Bridget Mary Meehan of Falls Church, VA and Sarasota, FL. The ceremony will take place at First Christian Church, 6165 Leesburg Pike, Falls Church, VA 22044 www.fccfc.org All are welcome. "According to Roman Catholic Womenpriests-USA Inc., more women are expected to be ordained as priests and deacons in 2013 than in any previous year." 5/23/13 - Breaking the Holy Ceiling: Group to ordain the first female Catholic priest in Cincinnati by German Lopez. 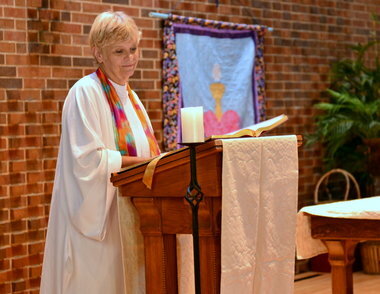 City Beat publishes interview with Debra Meyers prior to her ordination (ARCWP) this Saturday. 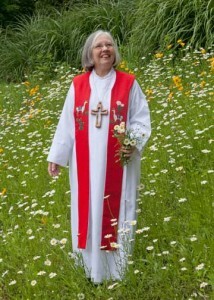 5/18/13 Gail Weisman was ordained to the Priesthood today at Trinity Lutheran Church in Lakewood, Ohio. The Ordination was presided over by Bishop William Manseau (ECDA) and Bishop Christine Mayr-Lumetzberger (RCWP). 5/8/13 - NCR: No turning back on spiritual justice for women is a book review of INCOMPATIBLE WITH GOD’S DESIGN: A HISTORY OF THE WOMEN’S ORDINATION MOVEMENT IN THE U.S. ROMAN CATHOLIC CHURCH By Mary Jeremy Daigler. "Daigler presents the many schools of thought and strategies aimed at achieving women’s ordination in the Roman Catholic church with an insider’s knowledge of the backgrounds and instincts that guide all called women." 5/7/13 - From the Boston Globe: Right on, sisters - "No longer remote, unapproachable figures of authority, the nuns I know are now women of advanced degrees and warm wisdom"
5/3/13 - "Nuns on the Bus" are hitting the road again - this time in support of comprehensive immigration reform. Mancuso, who was born in San Francisco and is now a teacher, attended seminary and earned a master's degree in divinity in 1996 from the Jesuit School of Theology in Berkeley. She had hoped that by the time she was ready, the church would allow women in the priesthood. Instead, the Vatican hardened against the idea. Mancuso joined the Womenpriests (RCWP) group, which began in 2002 when an anonymous Catholic bishop ordained seven women on the Danube River in Germany. In an interview before the ceremony, Smead said she is not worried about being excommunicated from the Church. "It has no sting for me," said Smead, a petite, gray-haired former Carmelite nun with a ready hug for strangers. "It is a Medieval bullying stick the bishops used to keep control over people and to keep the voices of women silent. I am way beyond letting octogenarian men tell us how to live our lives." 4/22/13 - USA Today article: Group to ordain woman as priest in Kentucky - discusses the ordination of Rosemarie Smead scheduled for Saturday April 27th. 4/11/13 - On Saturday, April 27, 2013 at 1p.m. Dr. Rosemarie Smead of Bedford, Kentucky will be ordained a priest in the Association of Roman Catholic Women Priests (ARCWP). The presiding bishop will be Bridget Mary Meehan of Falls Church, Virginia and Sarasota, Florida. The ceremony will take place at St. Andrew’s Church of Christ, 2608 Browns Lane, Louisville, Kentucky 40220. All are welcome. 3/31/13 - From Huffington Post: Womenpriests Movement Grows Despite Censure A quote from the article: "What impressed me most was its aggressive inclusiveness. Not just (with) women; they aggressively include all the people that the church is doing its best to drive out -- young divorced people, gays and lesbians" said Mike Crowley, 66, a member of the Mary Magdalene Apostle Catholic Community in San Diego. 3/22/13 - EDITORIAL COMMENT regarding Fr. Roy Bourgeois - In November of 2012, in a transparent effort to enforce their own myopic opinions, the Vatican attempted to "dispense" Fr. Roy Bourgeois "from his sacred bonds". They did dismiss him from the Maryknoll Fathers and Brothers. However, the Vatican has no power to dismiss Roy "from his sacred bonds". The Community of St. Bridget considers this act by the Vatican to be INVALID. The priesthood is an honor granted to a man - or a woman - in recognition of their ongoing service to Gods people. Priesthood is NOT membership in an exclusive clique contingent on blind obedience to Vatican Diktats. No living male priest has provided greater witness to Gods inclusive love than Roy. With his prophetic, forceful and articulate calls for the inclusion of Women in the Priesthood, Roy has demonstrated fearless commitment to Gospel Values. We consider Roy's Priesthood in full force and will continue to refer to him with the honorary title "Fr." that he has well earned. 3/14/13 - Newly ordained Catholic priest from Toledo, Beverly Bingle (RCWP) comments on the election of Bergoglio: "Pope Francis’ election will not open anything right away (about change in the church) but I think it goes in the right direction of what the church ought to be doing. If he does in Rome what he did in Argentina, it will be phenomenal, a sea change in terms of how the hierarchy operates." Toledo Blade article. 3/12/13 - Bursts of pink smoke filled the air in Rome today as Catholic women staged a protest calling for women's equality in the church. 3/6/13 - Sr. Joan Chittister has a Essay in NCR: the Vatican could learn a thing or two about renewal from women religious who, according to Joan, have come to understand that: "The renewal process of religious life required three major changes…. Renewal was a matter of demystification, integration and relevance." If only the Vatican would have the wisdom to listen to the experience of Women! 2/26/13 - Toledo Blade Columnist, Marilou Johanek, has written an article about new Toledo Priest Bev Bingle: Bingle blazing a trail for girls of today to be priests of tomorrow. 2/9/13 - Today in Toledo, Beverly Bingle was ordained as a Priest and Ann Klonowski as a Deacon. The Holy Spirit Catholic Community, led by Beverly, is set to begin holding weekly masses in Toledo. Detailed information is on our Around Town tab. Congratulations to each of you and many blessings as you both continue your ministries. Toledo Blade Articles here, and here. Toledo Blade Picture Gallery. 2/6/13 - Comedian to the papal household, Father Wojciech Giertych, tries desperately to explain why Women can not be priests. In the process he says a lot of hilarious, ridiculous stuff and demonstrates, once again, why nobody takes the All-Male Roman "leadership" seriously. 1/24/13 - Saul Gonzalez, for Religion & Ethics NewsWeekly, interviews Roman Catholic WomenPriests (RCWP) Jennifer O'Malley and Jane Via about their journey to the priesthood. Transcript and video here.